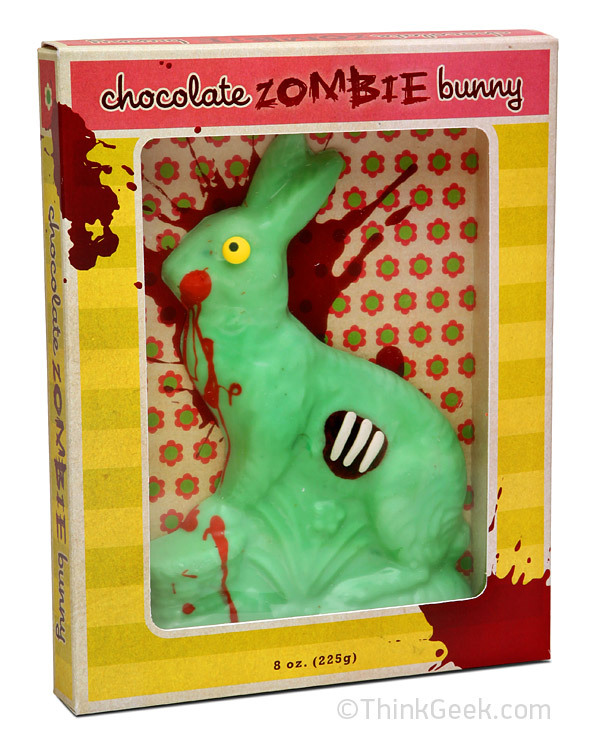 Chocolate Zombie Easter Bunny « Gluttoner: You gonna eat that? The Chocolate Zombie Easter Bunny will ruin your holiday and eat your loved ones alive, then spit them out put them on a grill and eat them again. Made of solid white chocolate this lil’ rabbit was originally just an April Fools Day concept joke from ThinkGeek but now it’s an actual purchasable and edible product. Ideal for those celebrating Halloweaster too. « Why Are Doritos Corners Rounded?